Advice 1: On what finger you wear a ring "save and protect"
Among the various decorations special place is occupied by objects associated with religious traditions. They ascribe certain properties and capabilities, the ability to protect and preserve the trouble of their owners. 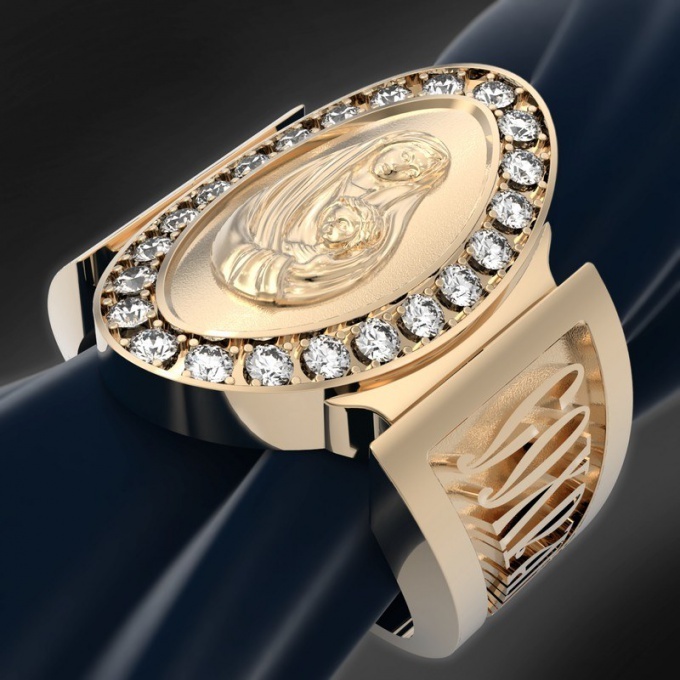 Ring "Save and protect" is an original piece of jewelry related to Orthodox Church tradition. This is not an ordinary decoration, it is believed that it is a talisman and protects its owner. The ring is one of the oldest decorations used by people. For several centuries such rings, the pilgrims could purchase exclusively in the territory of monasteries, and only in the XIX century they began to sell in iconic shops and jewelry stores. Over time, the rings began to make more refined, not only silver but also gold and even decorate with precious stones. 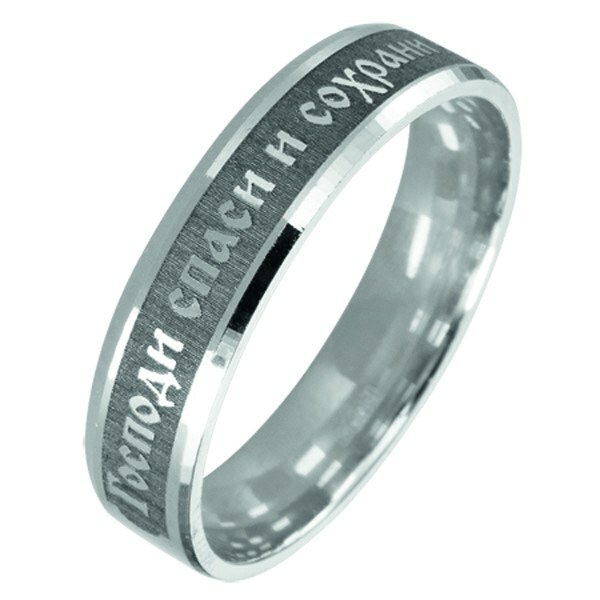 Traditional ring design looks simple enough – he rim of the old Slavonic script derived inscription "Save and protect". There are rings in which the inscription is made inside the ring, they prefer those who do not want to draw attention to their religious beliefs. If you decide to buy a ring, decide what purpose you do it. Wishing to have a strong protective charm should choose a simple silver product. Silver has long been considered a metal, protecting from hostile words and negative views. If you would like to have an attractive decoration, you can pick up in a jewelry store more expensive option, made of gold or platinum. Opinions about what finger to wear the ring and how it correctly to pick up, are very different. In ancient times there was the so-called "tongue rings," and it lasted until the early twentieth century. The unequivocal answer to this question does not exist. But there are some rules that will help make the decision. Representatives of the Orthodox Church give some advice on this. Some say that such a ring can be worn on any finger, others insist on the wearing of a ring on one of those fingers used in the cross – index, average or large. There is a belief that a ring should not be worn on the ring finger, which is usually worn engagement ring. If a person is not bound by marriage, he can put a ring on her ring finger, but only on condition that the rite of baptism is Orthodox Christian. Ring "Save and protect" is really able to support its owner and help him in various matters and situations. Because the hand with the ring constantly in mind in the difficult moments of life it can serve as a kind of mentor, to remind you that everything is in the hands of God, and in any, even the most difficult situation you must keep the faith and continue your path. Orthodox pectoral cross, or as it is also called "vest , designed to be a helper in the transfer of disease and hardship, defending in difficult situations and bad people. That is why many crosses have the inscription "Save and protect . First put a cross on his neck after the Ordinance of Baptism. Choosing a cross, it is important not to be guided by its beauty and material value of the product, and understanding that the pectoral cross is a symbol of our faith. All goods purchased in the temple or iconic shop, it's been lighting before the sale and re-consecration does not require. But if the product was purchased at a conventional jewelry store, be sure to sanctify the cross. When you select the cross you should pay attention to the fact that some of the cross the crucifix is made by Catholic sample. 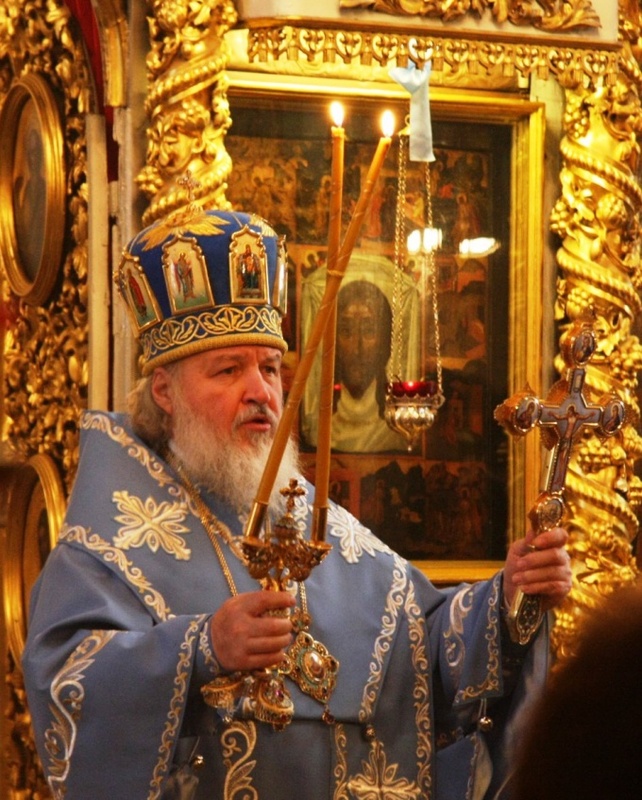 Such cross coverage in the Orthodox Church are not subject. 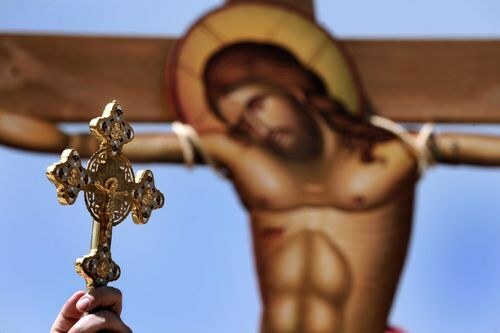 Unlike the Catholic crucifix from the Orthodox is the way nailed to the cross the feet of Christ. In the Orthodox crucifixion, two nails, and the Catholic one. Wishing to consecrate the cross necessary to visit a temple where to apply to employees near the candle which sell candle and write required. At your request, they will be invited after the service the priest to talk about sanctification. Lighting can conduct any priest. For this you should refer to him with the words: "Reverend father! I ask you to sanctify my cross to bear wearable! And the priest shall take your cross, examine it and decide on the compliance of the canonical status of Orthodoxy. Although sanctification be just the cross itself, to convey it can be hung on a chain or Gaitan. After seeing the cross and complying with the Orthodox canons, the priest enters to the altar and hold the put in this case, the rite. At the consecration of the cross, the priest read two special prayers. In those prayers he asked the Lord God that he has poured the heavenly power in the cross and that the cross was guarded by not only the soul but also the body of the wearer from all the slander of the enemy, sorcery, witchcraft and other evil forces. After prayers are read, the priest will return you to the cross. The consecration of the Orthodox Christians is the ceremony that introduces the Church into the personal life of man, so that through his person and his life down the blessing of God. The consecration of the house, car, any other thing is a testimony to trust in God and faith in the fact that on earth nothing ever happens without His will. The Church sanctifies everything necessary for life prayer and blessing. Sanctify things a triple sprinkling with Holy water, recitation of special prayers: Blessed and consecrated (thing) and this sprinkled with this Holy water, in the name of the Father and of the Son and of the Holy spirit. Amen. Products are consecrated with the same prayer. The main preparation for the consecration of things is the knowledge of the motive and meaning of this action. Ask the priest to explain the meaning of the whole rite. Some people believe that the consecration of the machine is necessary to ensure that it does not have an accident. But actually it is not, sanctifying any thing, you have to remember that you are sanctified, so we must comply. If you decided to consecrate something, you should know some practical details. The crosses are usually consecrated in baptism or to be taken to the Church a crucifix and they will tell you what to do next. Products, especially cakes and Easter Easter is consecrated in Church after the service. If you invite a priest to sanctify the apartment, she must be clean, I mean cleaned. You will need a free table on which the priest will perform his ritual. Turn off the TV, loud music. Treat with respect to the event occurring, take the words that tell you the priest at the consecration as something very important. The car is consecrated at the temple, but remember that you will sanctify not only her, but myself. The Church is not engaged in the magic that it is impossible to perform any religious rite separately from the person receiving it. To consecrate or not to consecrate rings – it's strictly voluntary. Each in its own way relates to faith and different Church rites, but for those who choose to give their rings to the sacrament of reconciliation, nothing complicated, especially since there are a few simple ways to do it. Rings are symbol of love and devotion to people who are getting married, so all religious people try to give this character a divine gift. In order to sanctify the ring must, of course, have their own rings and to attend Church. For the blessing of the rings in a wedding ceremony, you must have the items provided by the sacrament of marriage, for example, icons, crosses, candles, corresponding to the rite clothes. Intending to consecrate the engagement ring after the official marriage, but without going through a wedding ceremony, just to come to Church and ask the priest to perform the rite of consecration. You must discuss with the priest the rites, all the nuances required for the ritual items, the order of ceremony befitting the bride and groom, etc. Before the wedding ceremony the young are not allowed to eat, drink, smoke or have intimate relations with 12 hours of night, so that from it all after on the eve of a formal wedding celebration from 12 o'clock until the time of the ceremony will have to give. 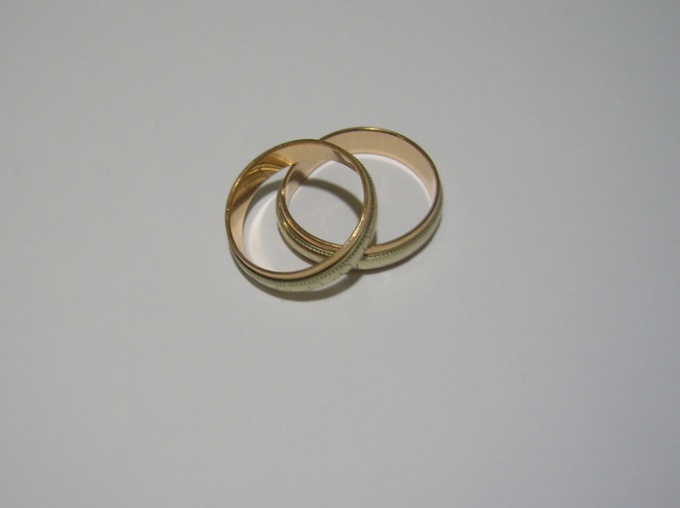 The blessing of rings is performed during the wedding ceremony, and additional ceremonies are not required. Should not be performed the rite of consecration of the rings, following the lead of relatives and friends, and for the sake of fashion trends. Consecration is a sacrament, it must emanate from the human soul. You must also keep in mind that sanctification can be carried out in strictly certain days, or rather prohibited to conduct a ritual some days. These dates can be specified directly in the Church. If we decide to consecrate rings, you should take this seriously. God created good and perfect the world has changed after the fall. Now all things created by man, are considered unclean. Orthodox Christians dear and important for them tried to sanctify the Church. To sanctify is not a very big thing - the pectoral cross, ring, cake, or eggs for Easter - take them to Church. Do not have to coincide with it to any occasion. The temples are open to believers every day, and the ritual has nothing to do with dates. If your cross standard, like the others, tie him to a bright ribbon or braid. At the same time will be sanctified few items, make sure not to confuse a thing with someone else. The cross purchased Church, is sanctified, to carry out the ritual again is not necessary. Contact the priest before the Liturgy. If you failed to find it - ask for help from any employee of the Church. Typically, the staff responsible for the organization of rites, are behind the counter that sells icons and candles. Explain to him what is required. It will give things for the altar and the priest will announce it to him. You may want to be present in the Church during singing. Try to renounce from worldly thoughts and think only about the spiritual. Read "In the name of the Father and of the Son and of the Holy spirit" and "the grace of the Holy spirit." Wait until the end of the service. Three times the priest will sprinkle the items with Holy water and read the corresponding case of the Psalms. After that, the thing is considered to be purified. When the prayer ends, go to the priest for the consecrated crossOhm. Don't forget to thank him and to ask the blessing. Remember that the rite of consecration of any thing not the main thing. Basic thoughts are born at the same time. Without clean thoughts, his conduct becomes meaningless. Before going to Church, try to dismiss all the bad things, think only good, read the prayer. Bearing on the body of a consecrated thing, not to swear, to smoke, to be angry. Otherwise the cross will again have to carry to Church. It is best to consecrate things on a weekday. The Church will be less people and you can talk to a priest and ask him for advice. According to Church tradition, the pectoral cross should be consecrated in the Church. The cross can be bought in any jewelry store. In the Church shops the consecrated crosses are sold. Orthodox Christians believe that consecrated cross, protects from the evil spirits. Select an Orthodox Church where you want to sanctify pectoral cross. All churches are open to believers from morning to late evening, Monday through Sunday. Sanctify crossIR at any time, but better to do it on weekdays when the Church is less than faithful. On a weekday you can calmly talk to the priest. Upon entering the temple, three times the pencrossyo u and ask any Church employee to invite the priest. The Church must always be the duty of the priest. To sanctify pectoral cross can any priest or Bishop. Ask for blessings at the priest and tell him about your request. 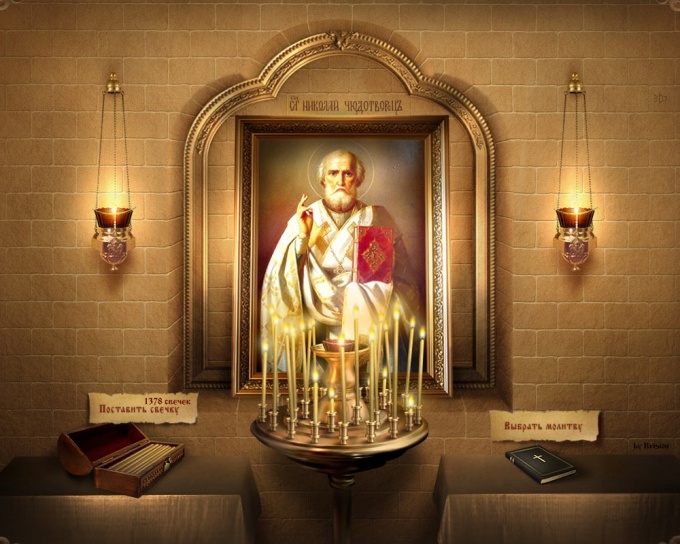 Pay the fee about the candle for the consecration crossof IR. Pectoral cross can be given at the consecration, along with the chain. Typically, it is placed on a special tray, which the priest carries the altar. It is important to remember that the pectoral crossof the IR should be exactly the Orthodox sample. Not conforming to the Orthodox canons crossIR you simply will not get sanctification. Pray and put a candle in the Church before the icon of the Lord or mother of God. Try to escape from all earthly things and all the attention paid to the prayers. In the altar at this time the priest reads a special prayer, which asks God to sanctify the cross. During the prayer the priest crossobrazno sprinkles Holy water on pectoral cross. Immediately put the cross on yourself when, after the rite of consecration, the priest will take the tray with your crossthe IR from the altar and give you. An Orthodox Christian should be in Church with to put on the crossby IR. If you have any questions about pectoral crosse, ask the priest. After all this, thank the priest and ask him for blessings. Carefully treat the consecrated cross. Remember that the pectoral cross is a symbol of your faith in God. According to the priests, dilapidated crossIR should be attributed to the temple. In no case do not dispose of the crossIR. 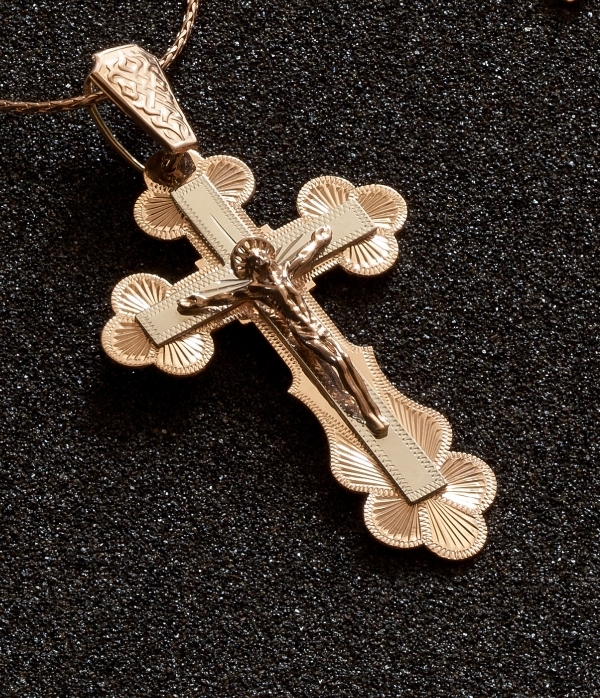 Pectoral cross worn on the neck of the person during the Sacrament of Baptism – from that moment it helps to endure all the hardships and tribulations. Consecration of the crossand has a ritual character and means the purification of the material, but also symbolizes the dedication to the Lord. Sanctification shall be the crossand that you purchase in jewelry stores. Everything sold in the Church stores, as a rule, already consecrated – the crossand the icons, candles, etc. If you don't know whether the cross sanctified (you gave it, inherited from relatives, etc. ), it is better to sanctify it. It is important that the cross was precisely Orthodox – with all the necessary paraphernalia. Choose which temple you want to consecrate the cross – the one that is close to home or one where you always go to worship. On a weekday go to the priest and find out all the details of the procedure. If you wish to attend the consecration, to clarify this matter in advance. Behave accordingly in the temple – cross, worship, seek the assistance of any priest is to consecrate the cross can any of them, regardless of rank. If none of the priests there, ask employees who sell candles and icons, record of rites, so they invited the priest. Procedure of consecration of the crossand can be paid, so you will need to pay the required amount. The priest will examine your cross and check its conformity to Orthodox canons. To give a cross you can together with the chain (although the coverage is subject only to the cross) – put it on a tray and carry to the altar. There the priest will perform all the necessary manipulations, will read two prayers and ask God permission to bless your cross, to pour his heavenly power. Henceforth, the cross will keep your body and soul from evil spirits, enemies and sorcerers. It's time for you to spend reading, or prayer, try to concentrate, to let go of all extraneous thoughts and feelings. Pray, attached to the icons, place your candles. When you bear the cross, wear it. If you have any questions about the crossand or any other problems, then talk with the priest, find out all the interesting moments and say thank you. Try to treat the crossat carefully is the symbol of your faith. If it breaks, don't throw it out – put a cross to the temple. Wear the cross constantly, not removing. 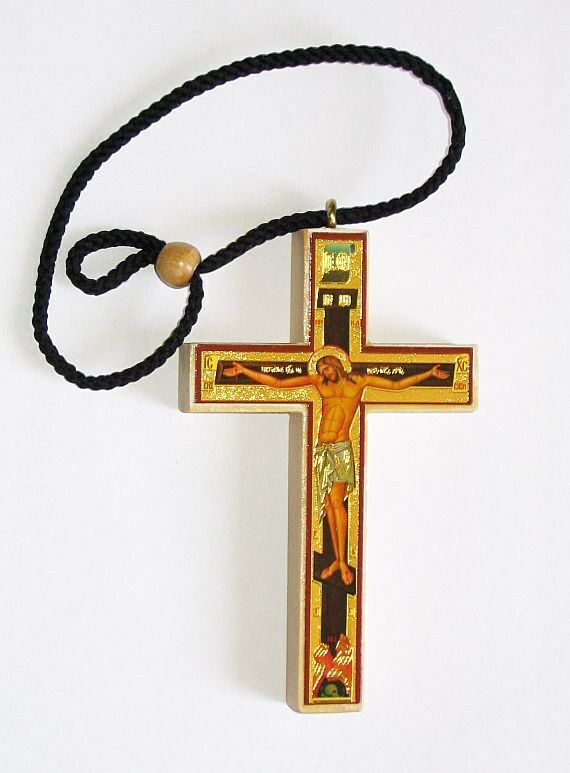 If you are a baptized people, or just going to be baptized, you must wear a pectoral cross. But before you wear it, the cross should be consecrated in Church. Buy it can in secular jewelry store or at any religious supply store. By the way, in the temples, churches and chapels the crosssell is already sanctified. Select the Orthodox Church. All the temples are open to believers from morning to late evening, any day of the week. To consecrate the cross (and other things) at any time. If your cross is similar to the others, when they sanctified a few items, mark it by tying, for example, a bright ribbon. Pectoral cross can be sent for consecration along with the chain. It is important that your chosen pectoral cross was the Orthodox pattern. Not corresponding to the canons of the subject will not take for the consecration. Contact your priest or any employee of the Church before worship. Explain what you require. The cross will be handed over at the altar. Sanctify cross has the right to every priest on duty at this time, the Bishop. Pay the fee for sanctification. If it is not provided, donate any amount to the needs of the Church or building the Church in the box near the candle shop. At the altar the priest, or the priest reads a special prayer, asking God to sanctify your cross. During prayer the subject will be cross sprinkled with Holy water. If you pass unholy crucifix for the rite of baptism, do not forget to inform the Minister of the Church about it. The subject will cover during the baptism, lowering into the font of Holy water. After the consecration the priest will take the tray with the crossout of the altar and give it to you, just put the cross on the neck. All Orthodox Christians should be in Church, only wearing the cross. Go to the priest, bow and words, thank him for his service and ask for blessings. Pectoral cross for each Orthodox Christian is the main symbol of faith, the Holy sign of the existence of Jesus Christ. Treat the sanctified cross. Try not to remove it even in the most unexpected situations. Jewelry with images of saints and the words of prayer were for a long time. It rings, rings, pendants, bracelets and other jewelry. They serve as amulets to believers. They are made of precious metals and alloys cheap that everyone could buy the product he needs. 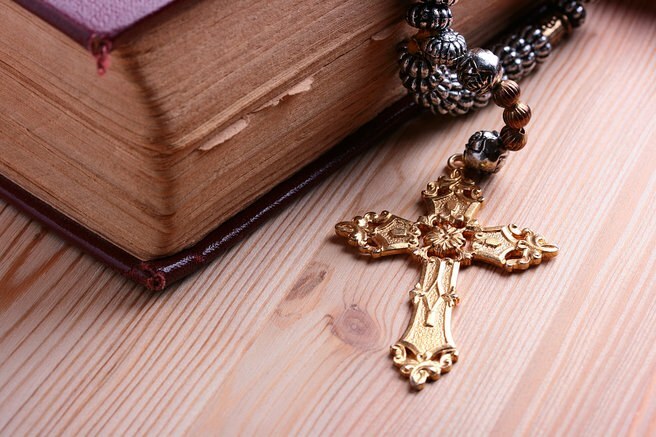 To wear a crucifix must every Christian, to the Church ring this rule does not apply. Small icons and rings are additional charms that you can sanctify the Church. Lit decorations carry more positive energy. Due to its shape, the ring is one of the strongest amulets. The circle is a symbol of infinity and strength, it protects against various ills. It is important that the metal from which made the ring. Each material has its properties and energy. Select the metal that suits you best. Ring in sterling silver will save you while traveling, you will develop intuition. Sudden blackening of this metal suggests that ward took from you trouble. Silver purifies human energy, destroying all the negativity. Try to get a ring of the highest standard, because the purer the metal, the greater its quality. Gold will help you in solving worldly problems. Ring made of this metal are capable of making life more interesting, to attract new and happy events. Gold will make you stronger, give a sense of freedom. But be careful, because long wearing of religious rings from this metal may cause you depression, and character will become stale. Yellow gold will increase prosperity, red will help you better understand the people around them. Ecclesiastical ring of copper will help you to make new pals and friends to meet soulmate. Besides, this metal makes the human condition regardless of weather conditions. Copper will make you more calm, but after prolonged wearing of such a ring you can have apathy. If, in the Church rings and a crucifix, you wear other jewelry, the metal of these products should be the same. The exception is the cross he must always be closed with clothes, so the metal from which this is made, not so important.